Before Jordan Bell was blocking shots at Matthew Knight Arena, the athletic big man was throwing block parties at Long Beach Polytechnic High School in Long Beach, California. 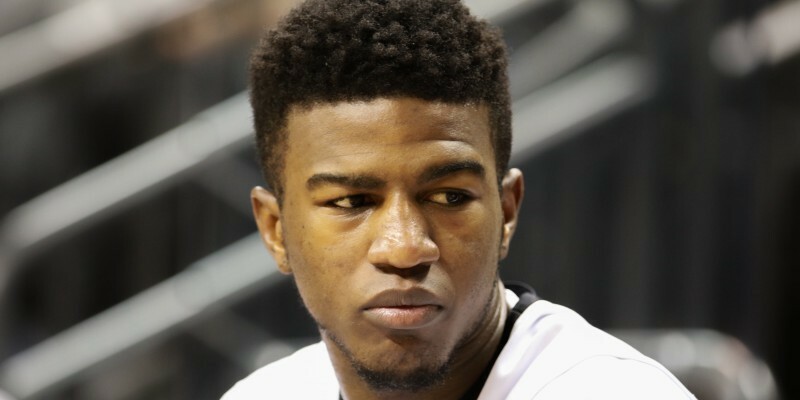 Even as a youngster in high school, Bell’s presence in the paint was intimidating, and it’s something that he took to Eugene when he decided to play basketball for Dana Altman. Now, before the season started, the Oregon Ducks men’s basketball team had to answer a lot of uncertain questions: Who is going to produce on a nightly basis? Can Coach Altman rely on his freshmen? Will the Ducks play any defense? While some of those questions still linger, one thing is certain: you’ll never have to question Bell’s impact on this team. Bell’s athletic ability has been apparent since he first stepped onto the Matthew Knight Arena court. The combination of size, length, strength and speed is a unique combination rarely possessed by athletes today. Amazingly, however, just 20 games into his collegiate career, Bell already holds Oregon’s single season blocked shots record. If these first 20 games have been any indication of what the Ducks will see in the next four years, then Oregon is in great hands. Oregon’s athletic forward is already one of the better interior defenders in the Pac-12. He currently sits behind Washington’s Robert Upshaw in blocks per game. The most eye-popping statistic, however, is that Bell has produced more individual blocks than three other schools in the Pac-12. The Ducks’ freshman has recorded 68 blocks, while Arizona, Stanford and Arizona State have only tallied 65, 57 and 44 rejections, respectively. While Bell’s ability on the defensive end has been well documented, the next step for Oregon’s promising big man will be to improve offensively. If he can develop a solid post game and a face up jumper, he will be nearly impossible to guard. Coach Altman made the right choice when he decided to start the youngster out of Long Beach; it was exactly what the Ducks needed.